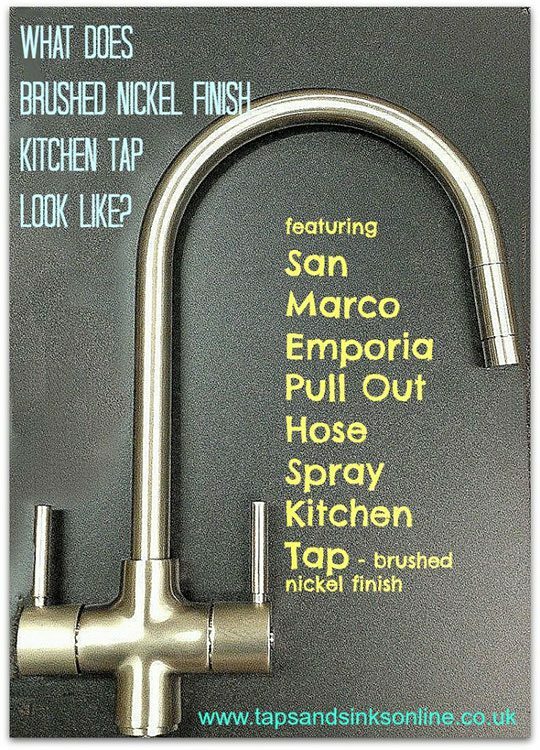 Home → Blog → What do Brushed Nickel Taps look like? 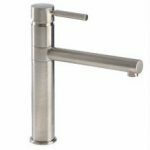 What do Brushed Nickel Taps look like? 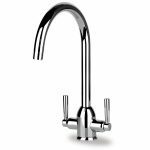 What does brushed nickel finish kitchen tap look like? 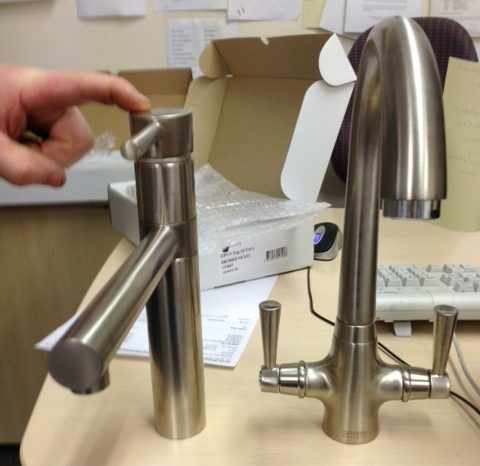 I am getting some queries about what Our Brushed Nickel Taps looks like from customers. 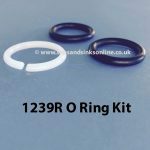 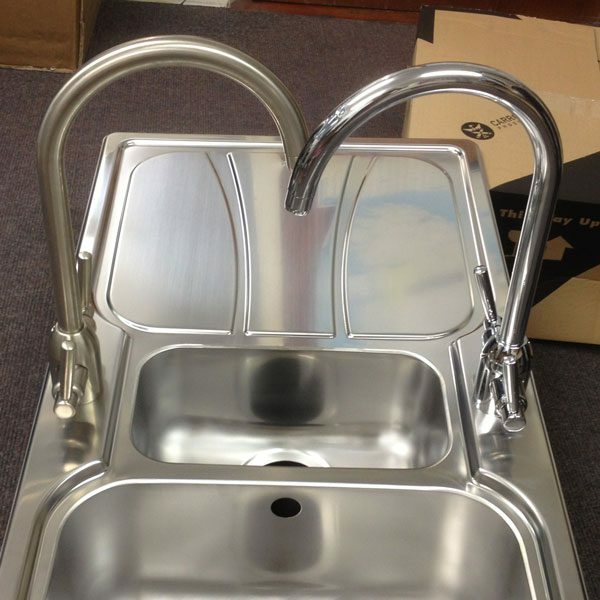 We know that it can be difficult to match a Stainless steel sink to a Kitchen Tap if you are buying online. 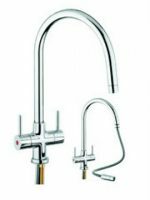 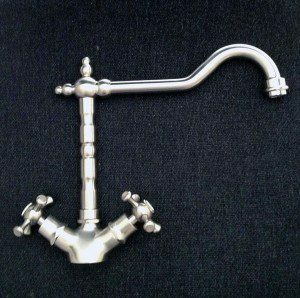 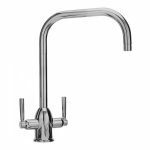 We also have a blog : Choosing the finish of your kitchen tap (brushed nickel or chrome) which you can read here. 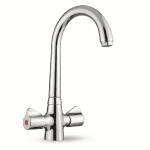 Below is an example of the brushed nickel tap in a traditional kitchen tap. Here is a quick snap that we took for a customer who couldn’t decide between a Chrome or a Brushed nickel finish Tap to put with her Zeta 150 sink , so we put both the San Marco Cedar Tap in brushed nickel (on the left) and the San Marco Cedar in Chrome on the right on the sink to take a picture for her 🙂 – [please note that no waste kits fitted as we just got Tommy in stores to open the sink in the office and take a few quick snaps ]. Here is a close up of the Carron Phoenix Maui sink paired with the San Marco Vegas Tap in brushed nickel finish. Here is the San Marco Vegas Single Lever Tap on the left, and the Carron Phoenix Opus Tap on the right – both in a brushed nickel finish. 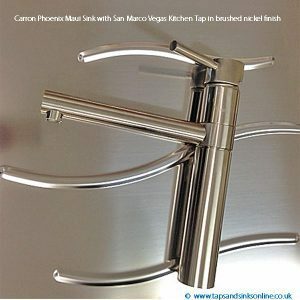 San Marco Vegas Tap & Carron Phoenix Opus Tap (both in brushed nickel finish). 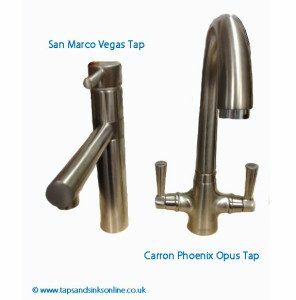 The Vegas Tap is on the left. 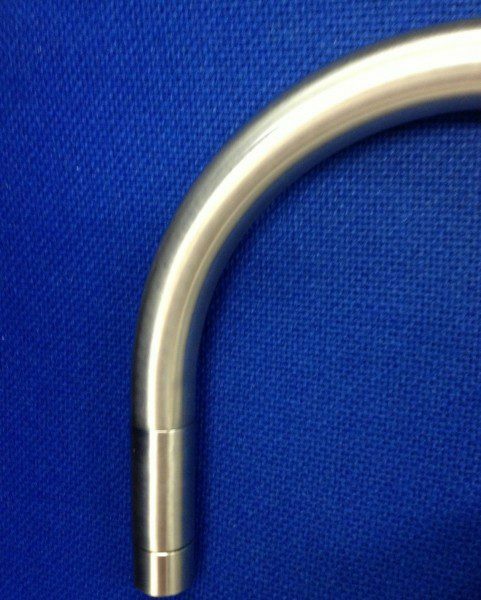 Opus on the right. 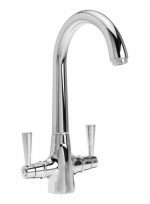 If there ever is a Kitchen Tap in our store that you want to match with one of our Kitchen Sinks and you are not sure how they would look like together, just email us and we will be happy to take a picture of the sink and tap together (if you don’t mind that its not a professional picture and there might be the odd hand seen in the picture 🙂 )I do understand how hard it is sometimes to know what two separate appliances will look like when put together. 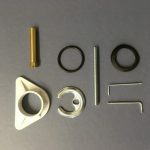 So if we can help in anyway, just let us know.